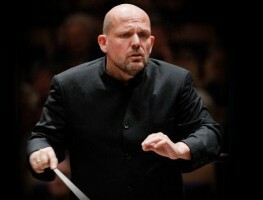 It is not really the preserve of this blog to follow the movement of personnel in orchestras outside Asia, but the announcement yesterday that Jaap van Zweden has been appointed the New Music Director of the New York Philharmonic does have some implications for the musical life of South East Asia. Jaap had been Music Director of the Hong Kong Philharmonic for the past three seasons and is contracted to remain there until 2019. There is no hint that he intends to curtail that contract in the light of the New York appointment. On top of that, he is half way through a major project to perform and record all four parts of the Wagner Ring cycle in Hong Kong over four years, and if the outstanding quality of Walkure last week is anything to go by, he is not going to drop that at this stage; as one extremely enthusiastic North American critic spluttered afterwards, "On the strength of that performance, he must be the best Wagner conductor in the world!" An exaggeration, perhaps, and based on the flimsiest of evidence, but one I am in no way inclined to dispute the assertion. The most significant implication for Asia of Jaap's appointment is the reflected glory and inevitable additional international scrutiny the Hong Kong orchestra is going to experience as a result. That he has so quickly established himself as one of the foremost conductors in the world speaks volumes for the Hogn Kong Philharmonic's foresight in appointing him in the first place, and if other budding maestros see the Asian orchestras as, not so much a useful stepping stone, as possessing star-making quality, then it can only be good for the orchestral scene here. It would be nice to think that orchestras in Singapore, Bangkok and other regional centres might catch some of the kudos Hong Kong has brought on itself. A succession of worthy but, in all honesty, past-their-prime visiting conductors along with Music Directors who, while growing with their respective orchestras, have minimal international exposure and attract little attention outside the region, is the best most orchestras achieve here. How nice to be able to say that at least one of them has recognised and, to a small extent nurtured, true star potential.